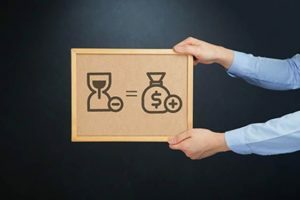 Whenever you observe that you are being taken advantage of and denied of your due pay, perhaps your overtime payment was canceled or your wage for your services offered regularly was reduced unlawfully, you should ensure that you tell an attorney about it in order to get the treatment and remuneration that you deserve. The common occurrence is that employees often refrain from speaking out for fear of losing their jobs, but with an experienced attorney, not only will you be paid in full for the work done, you will also be protected legally from any backlash that could arise as a result of your legal action from your place of employment. Rawa Law Group is one of the most renowned law firms here in California that has all that you could ever need to bring you the desired victory. We are firm that takes pride in making life easy for our clients by giving them inimitable professional legal services and bringing them to a place where they receive the outcome that they desire. The services that we offer are non-obligatory, which implies that we are ready to work for free without remuneration for our services until we have won you your case and gotten you the compensation that you deserve. Our Wage and Hour attorneys here in Newport Beach will give you all the service needed for a win. Take advantage of our FREE case evaluation, contact us via the address below.